A fascinating journey through time from the earliest diagnosis and treatments for cancer to today’s advanced new Overlake Cancer Center. We bring up two two issues that are often uncomfortable to think about ourselves, let alone bring up with a physician: pelvic health and weight issues. In this episode we explore the history of pelvic health and bariatric surgery with Drs. Julie La Combe and Thien K. Nguyen, and we discover why these issues have been so difficult to discuss and how new treatments are bringing them into the light. Even if you know absolutely nothing about the body, you probably know where your heart and lungs are. They’re easy to recognize, to feel. And they were just as easy to notice in ancient times. In this episode we explore what people throughout history thought the heart and lungs were used for, how they cared them, and how Drs. Kim-Thuy Truong, Tara Bellamkonda, and Joel Wilson treat them today. We've covered a lot of topics over these last four episodes. So for this, the final episode of season one of Overheard, let's go back to the beginning. Child birth is still a hotly debated topic. Is it better to have a natural birth? A C-section? A midwife or a doctor? These arguments aren't new. We explore how they began and changed throughout history, and hear from Sandy Salmon, manager of the Mom and Baby Care Center at Overlake, and Amy Jantzen, a former patient, on what it's like now. 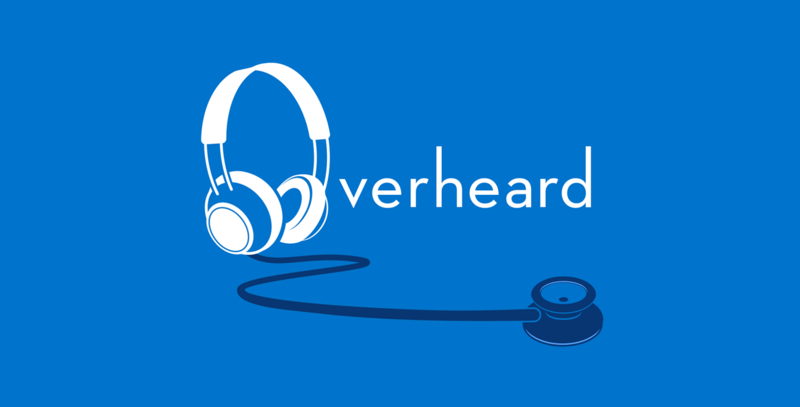 Welcome to the home of Overlake’s podcast series, Overheard. In this new series of audio programs, we dive into the world of medical discoveries, treatments and patient-centered care at Overlake. Overhead provides discussion around medical breakthroughs and how these innovations affect your and your family’s health.